Our brand new study reveals a fundamental, hard-wired, psychological and behavioural difference between the people who populate ad land, and the modern mainstream. These differences have profound implications for the decisions we make about every aspect of advertising and marketing. To find out more, watch our video below, listen to the podcast and download the white paper. We live in an era of unpredictability - political events of the past few years have seen a shift in the nation's mindset. This is having a profound impact on brands and advertisers in their bid to stay relevant. To find out more, watch our video below or contact our Head of Insight Andrew Tenzer. As the content studio within Reach Solutions, Invention bridges the gap between editorial and commercial. 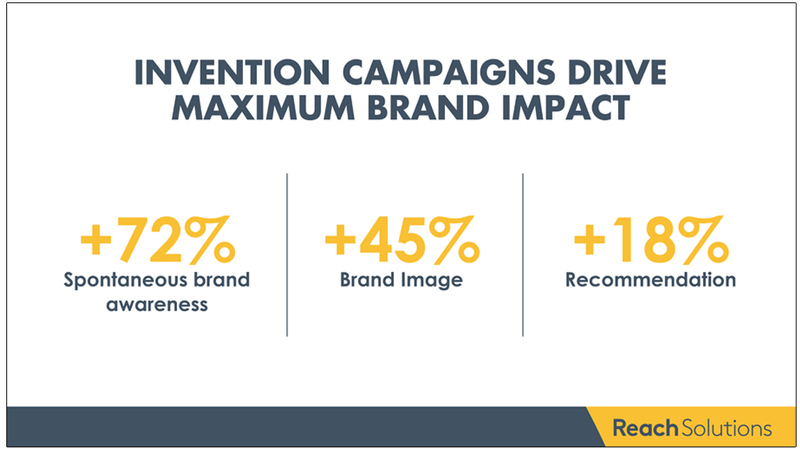 With an exciting array of innovative work, we've carried out research showing just how powerful Invention campaigns are. To find out more about the power of Invention, and how Invention could help your brand, please contact us, or our Head of Insight, Andrew Tenzer.